A disaster is a natural or man-made (or technological) hazard resulting in an event of substantial extent causing significant physical damage or destruction, loss of life, or drastic change to the environment. A disaster can be ostensively defined as any tragic event stemming from events such as earthquakes, floods, catastrophic accidents, fires, or explosions. It is a phenomenon that can cause damage to life and property and destroy the economic, social and cultural life of people. Developing countries suffer the greatest costs when a disaster hits. MH17 was a disaster tragedy that involved many victims in the Malaysian Airlines (MAS) flight which departed from Schiphol International Airport in Amsterdam at 12.15PM (GMT+0200) on the 17 July 2014. The aircraft was a Boeing type 777-200 which was transporting 283 passengers and 15 flight crews heading for Kuala Lumpur was shot down by a guided missile and crashed in the Grabovo Donetsk, east of Ukraine approximately 50km from the Ukraine-Russia border. Following the instruction of the Prime Minister, National Security Council held a coordination meeting to discuss the necessary preparations for the delivery of the Special Search and Rescue Team Malaysia (SMART) and the team Disaster Victim Identification (DVI). In view of the scene located in the area of conflict, the security forces were also called to participate in this mission. 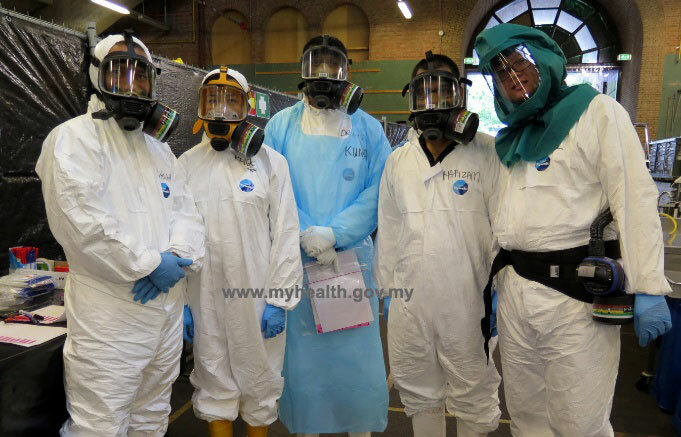 Malaysia DVI team led by Consultant Forensic Pathologist, Dr Mohd Shah bin Mahmood who also acted as Team Leader DVI Malaysia. Odontology team, headed by Brig Gen Dato ‘Dr Mohd Ilham bin Haron who was also acted as an advisor. 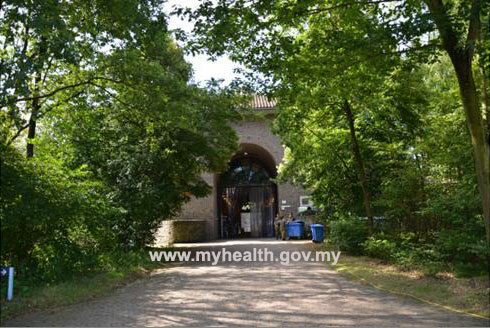 DVI operations were conducted in Korporaal van Oudheusden Kazerne (KvOK), Hilversum military camp which is situated about 35 km from Amsterdam where the camp is specially used for medical education and training to the army of the Netherlands. This site was chosen because it can provide security to all DVI personnel and confidentiality for the victim, database and classified information. DVI personnel were stationed at a military barracks in the closest distance to DVI operational facilities. A multipurpose hall was used as a temporary mortuary while the parade square adjacent areas also serve as a temporary storage to house cold containers for all bodies in coffins. 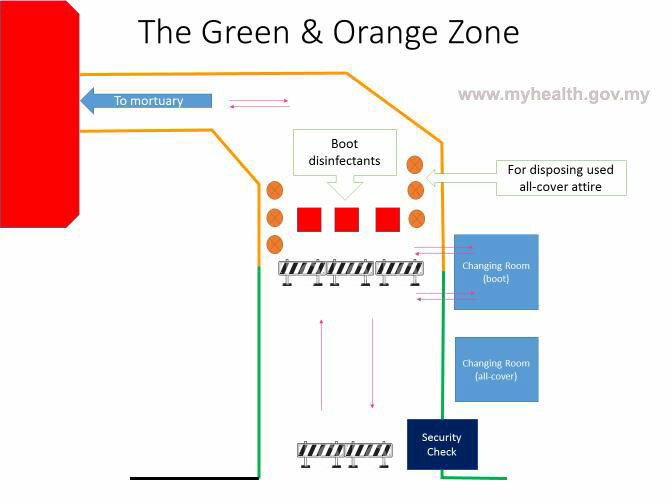 This operation area was divided into zones of green, orange and red to divide the border of security and safety level. The protocols used in operations MH17 is INTERPOL DVI protocol that is recognised internationally. The software used in this operation is the PLASSDATA® DVI built for INTERPOL. This software has the ability to compare data between AM and PM as well as to expedite the process of matching and identity verification. The Database Software PLASSDATA® center was established in Building 11, Korporaal van Oudheusden Kazerne (KvOK), Hilversum, which included the main server, Section AM, PM data entry and Section reconciliation. Each team was given 10 computer work stations to carry out their tasks. All data were collected in the Data Center. The AM section was led by an AM Team Leader. AM data sent by the AM team from each of the respective countries had been managed by the AM section consisting of representatives from each country involved. Personnel AM will incorporate all existing data into the software PLASSDATA®. Team Leader will update the AM data to be reported to the captain at 0800 and 1830 hours every day. PM section was led by a PM Team Leader. He was assisted by several officers consisting of (a) ‘Front office’ Manager, (b) Manager of victim’s bodies, (c) Head of Radiology (MCT), (d) the Chief Forensic Pathologist, (e) Chief Forensic Odontology, (f) Chief Specialist on Fingerprints and (g) Chief of Quality Control. A complete PM form had been sent to the PM Section to put data into the PLASSDATA® software. 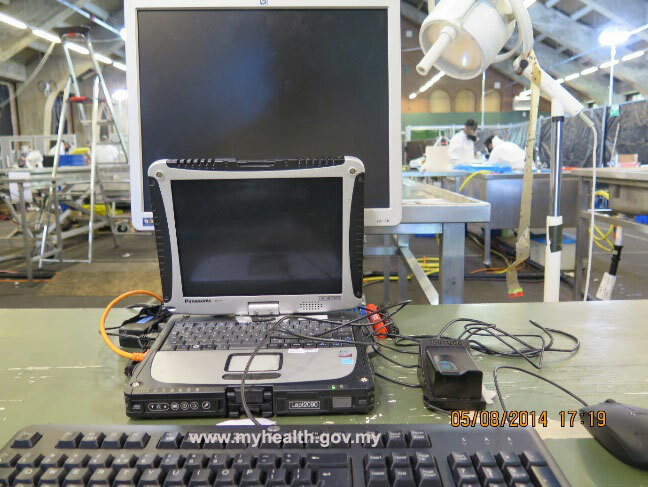 Malaysia DVI team placed two officers in this section to assist in data entry procedures. Reconciliation section was headed by a Reconciliation Team Leader, assisted by several experts comprising fingerprint experts, Forensic Odontology experts, Forensic Pathologist / Anthropologist and DNA experts. Reconciliation team will provide Positive Identity Verification Report to the Board of identification. 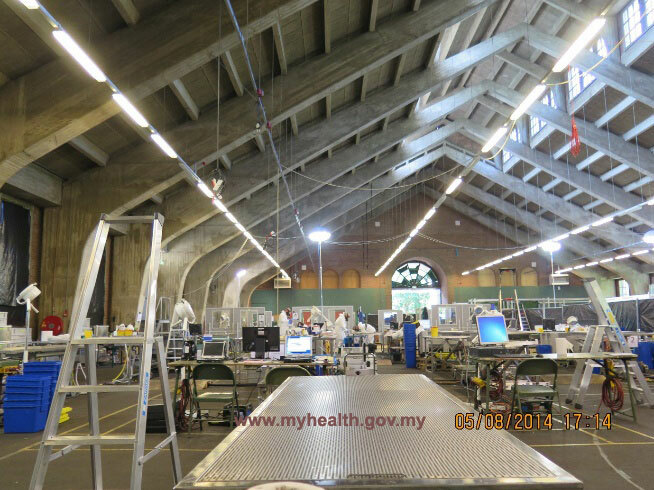 Among the 227 coffins received, only 156 bodies were complete (complete body) and 641 body parts had been identified and generated 797 PM records in to PLASSDATA® software. 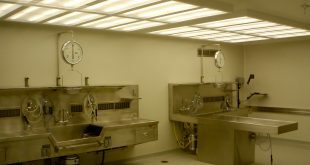 In the temporary mortuary, where the corpse management center is, there were three sections that will manage the corpse before being sent to the forensic post-mortem. 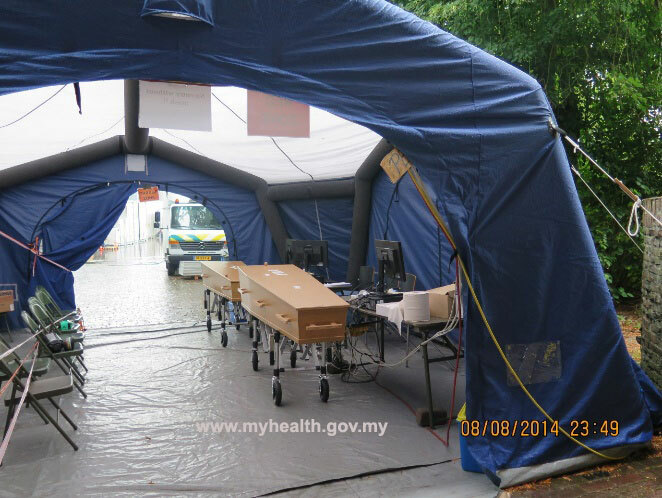 CBRNE Screening was done right after the coffin was removed from the chilled container by the Rapid Forensic team to detect signs of harmful CBRNE pollution (Chemical, Biological, Radiological, Nuclear and Explosives). PMCT Scan section was led by a Radiologist. 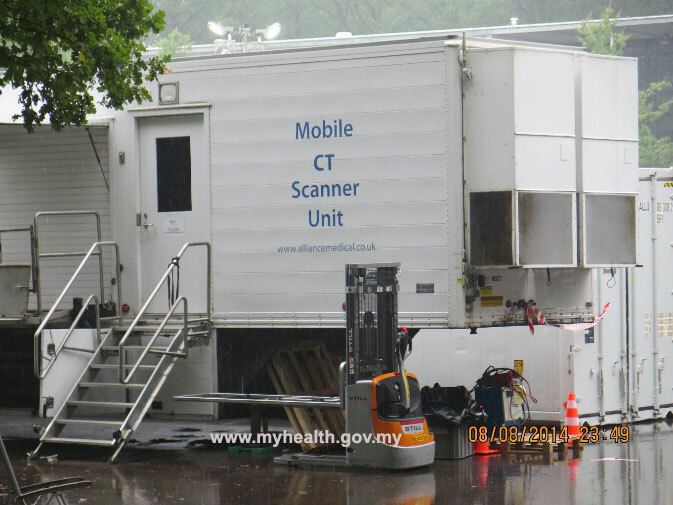 The CT scan which was used was a mobile CT scanner provided by the DVI UK team. Body bags in the coffins were scanned through using PMCT before being sent to the temporary mortuary. It was scanned to detect metal fragments for the criminal investigation purposes. It was conducted to determine the number of victims that may be contained in each body bag. Front Office was responsible for managing and monitoring the entire post-mortem activity issuing a unique barcode and sequential numbering for each coffin, movement of coffins from chilled containers into the temporary mortuary and return to its place of origin after inspection. Complete PM forms was sent to the PM Section in the Data Center. Incomplete forms were sent back to the PM station respectively in the temporary mortuary. In the temporary mortuary, DVI operations will begin. 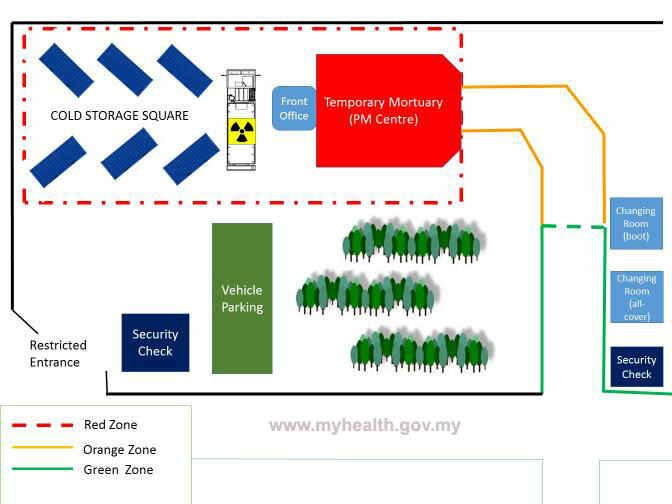 All coffins that have been confirmed to be safe from any harmful CBRNE elements would then be sent to temporary mortuary as shown in Figure 5. 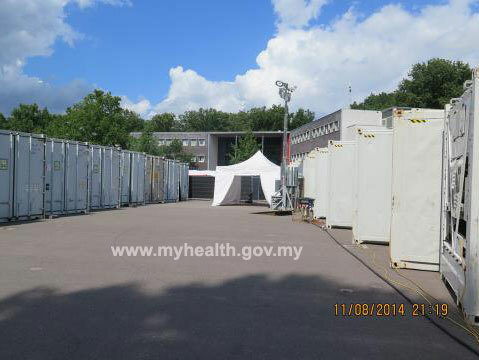 The temporary mortuary been divided into two main areas, which were DVI areas and criminal investigation areas. To ensure Quick Scan record forms were the same (consistent) with period examined. To take a digital photographic images. To enter each record into PLASSDATA® at the respective stations. To examine the body and document all injuries. The Identification Board which was led by the Commander DVI and prosecutors from the Ministry of Justice of the Netherlands. Other members consist of Reconciliation Team Leader, AM Team Leader, DVI Team leader Malaysia and Australia and assisted by forensic specialists (Odontology / DNA / fingerprint). The Identification Board was responsible for confirming the positive identity of the victims involved before being handed over to the heirs or next-of-kin. Release of bodies protocols were drafted by the Dutch. Documents related to the victims had been identified and approved by the Board of Identification, thus handed over to the respective embassies. It was quite an unusual and valuable experience during the MH17 mission for all the agencies involved, especially from the Forensic side. 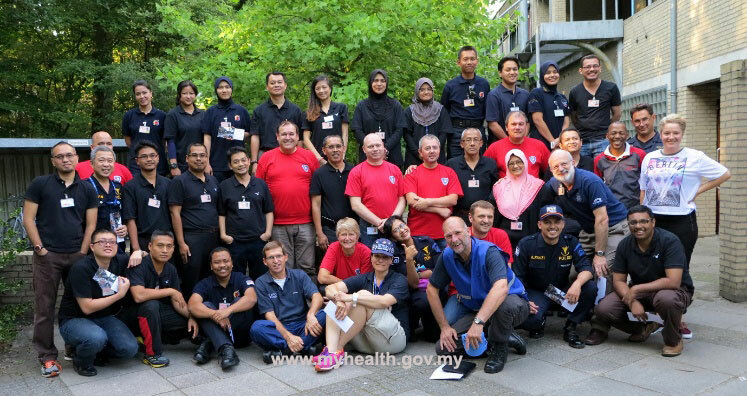 Satisfactory performance for this mission by the Malaysia DVI team’s expertise had been recognized by the International DVI team and all the victims (43 patients) were successfully identified and handed over to the heirs or next-of-kin. The MH17 is a tragedy was a conjecture for Malaysia where all Malaysians and the rest of the world also felt the grief suffered by any member of the immediate family of the victims involved. DVI operation MH17 was an effort and cooperation internationally undertaken in accordance with international standards. All participating countries have shown their dedication, professionalism and good camaraderie in executing this operation successfully and enthusiastically. Brief Note on the Roles of the National Security Council, Prime Minister’s Department as National Disaster Management Organisation (NDMO). 3rd APA CAUCUS Report. 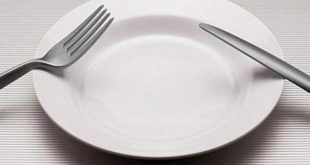 WHY FASTING IS REQUIRED FOR X-RAY EXAMINATION?